The commercial aircraft MRO market is estimated to register a CAGR of 4.35% during the forecast period, 2019 - 2024. With the growing air traffic, carriers are more inclined toward maintaining the health of their current fleet, going for new aircraft only if they have no other option, since the cost of buying a new aircraft is considerably higher than the cost for the maintenance of the current fleet. Different airports have introduced improvement processes to enhance efficiency, and several are using new technological systems to gain additional upgrades and prepare for the bigger data requirements of next-generation aircraft, and this shall lead to the growth of the market in the near future. Governments have started various initiatives to encourage airports to support MRO as a strategic activity. Various holistic approaches are now being undertaken by the governments to ensure that adequate space is mandatorily allocated at various airports within the country for MRO, and this shall lead to an enhancement in terms of commercial aircraft MRO in the years to come. Aircraft MRO refers to overhaul, inspection, repair, or modification of an aircraft or its component. The market study covers the MRO services only for commercial aircraft, not for military and general aviation aircraft. Currently, the field maintenance segment has the highest share out of all the segments. Field maintenance has to deal with very different tasks. These operations are performed simultaneously to lower the ground time, to increase aircraft productivity. Thus, management strongly emphasizes the time-efficiency of ground operations delivered either by themselves, the independent companies, or the airport authority. The time efficiency makes the task even tighter for field maintenance staff, and their efficiency depends on technically advanced equipment, information support systems, and coordination of staff. Thus, the focus is currently on this segment, which is the reason for its expected high CAGR. At present, Asia-Pacific is generating the highest revenue in the commercial aircraft MRO market. 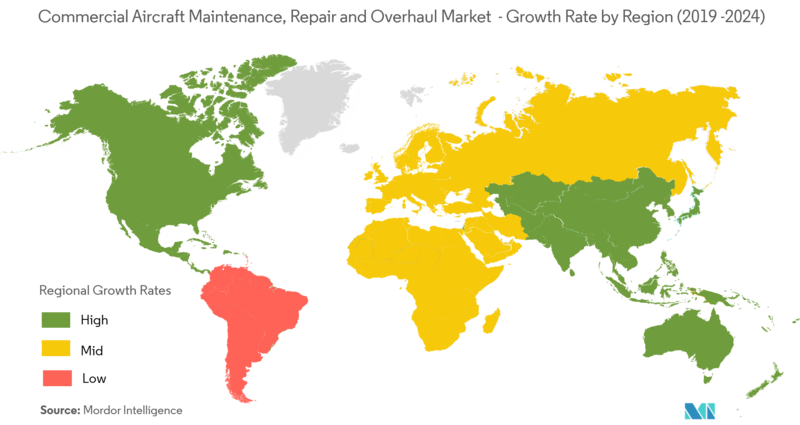 Singapore dominates the MRO market in Asia. In the recent years, several other Asian countries have also increased their investment in MRO facilities, trying to replicate the success of Singapore and Hong Kong in this sector. Low-cost carrier, to some extent, has changed the face of civil aviation in Asia. 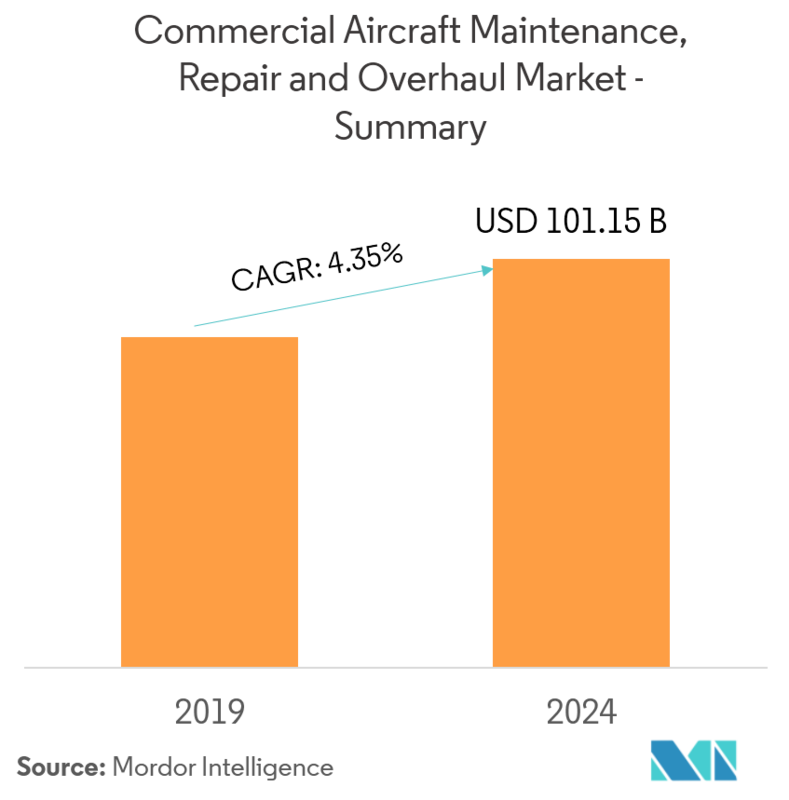 In tandem with the rise, the market for aircraft maintenance is also changing, as companies in countries like Indonesia and Thailand are also entering the market to challenge the dominance of established Singaporean players. Government policy also plays a key role, and the Singaporean government has been very forward-looking in supporting the aerospace industry. With the growing frequency of flights to and from the Asian countries, the demand for MRO centers is expected to rise in this region in the coming years. Moreover, due to the huge potential of the Asia-Pacific aviation market, several global players are establishing new centers in the region to cater to the growing demand. 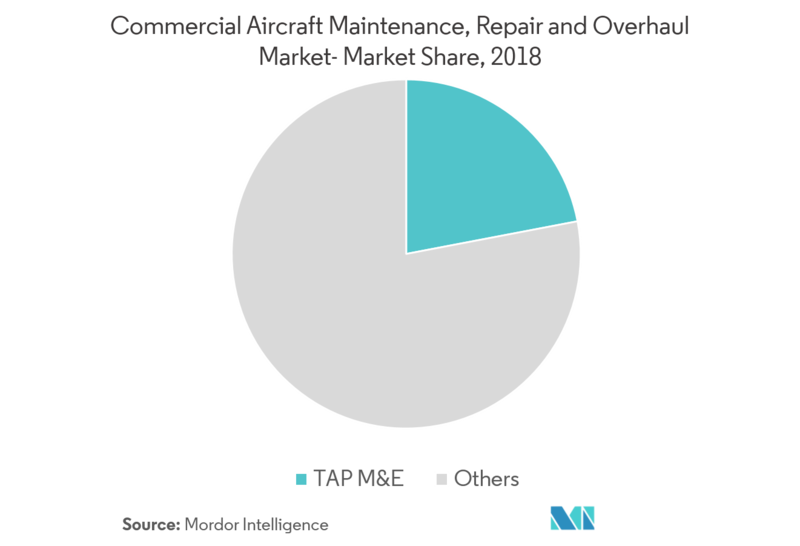 The commercial aircraft MRO market is highly fragmented, with only a handful of players controlling the market. 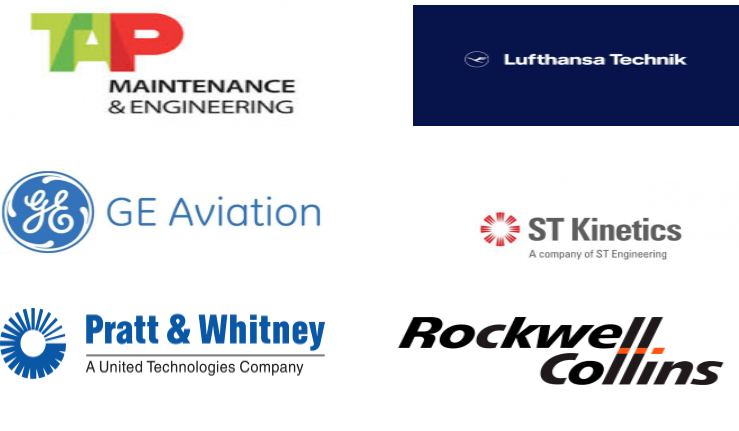 TAP M&E is currently the largest player in the market, followed by Pratt & Whitney, Lufthansa Technik, ST Aerospace, and Rockwell Collins. The MRO operation per aircraft is expected to decrease in frequency compared to older aircraft, due to improvement in technology and advancement in the engine and structural design of aircraft. The long aircraft order backlog will force older aircraft to run longer shifts and as population rises, globally, the active aircraft fleet will find it difficult to cater to the required capacity demand. Commercial airline MRO is expected to be active during the forecast period, as airlines compete to bring in more passengers and provide better facilities inside the aircraft cabin. Joint ventures between the players can help the companies strengthen their market presence.